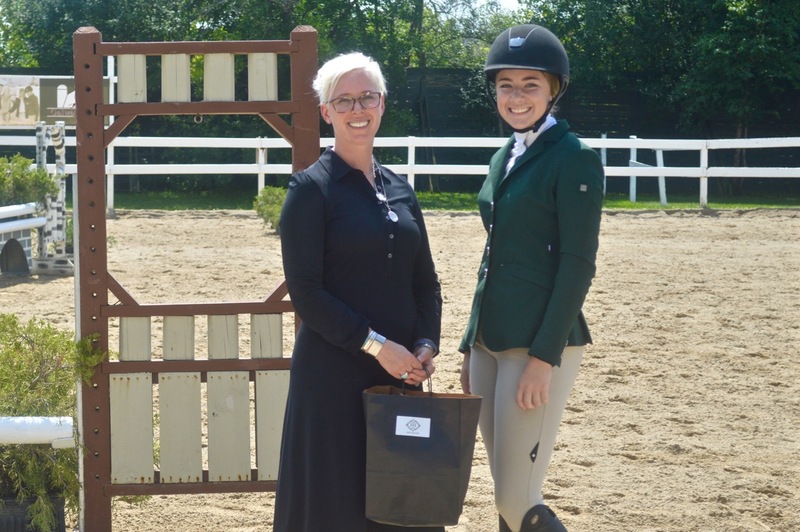 Generous sponsors help make the Galway Equitation Classic a weekend of food, fun and education. 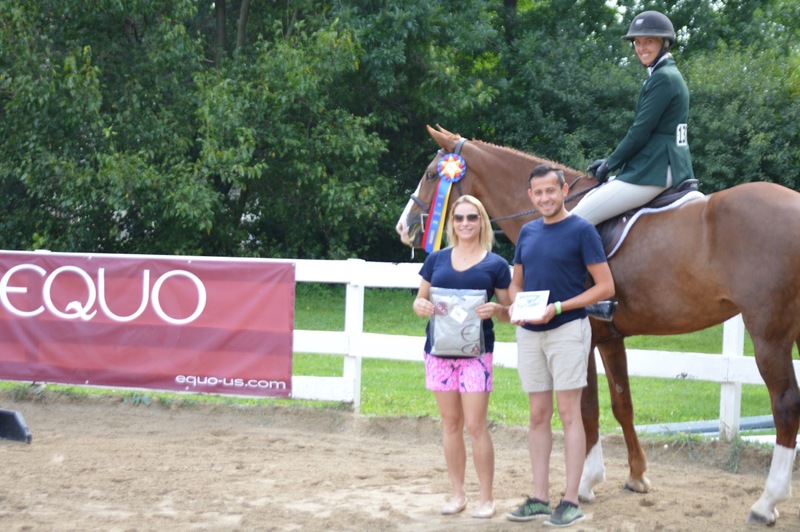 Long Grove, IL – August 22, 2017 – Galway Farm welcomed EQUO-USas the returning title sponsor for the 2017 Galway Farm Equitation Classic August 19-20th. 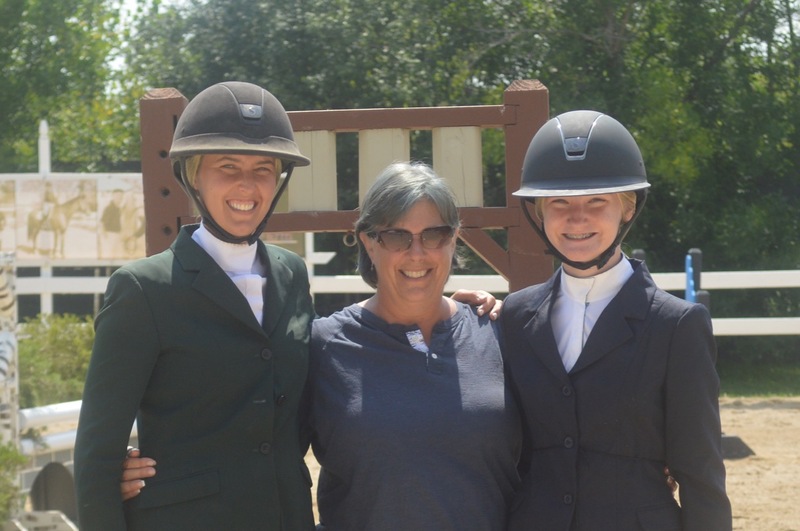 The innovative weekend features two clinic days and a show day with USEF R licensed official and clinician, Diane Carney. 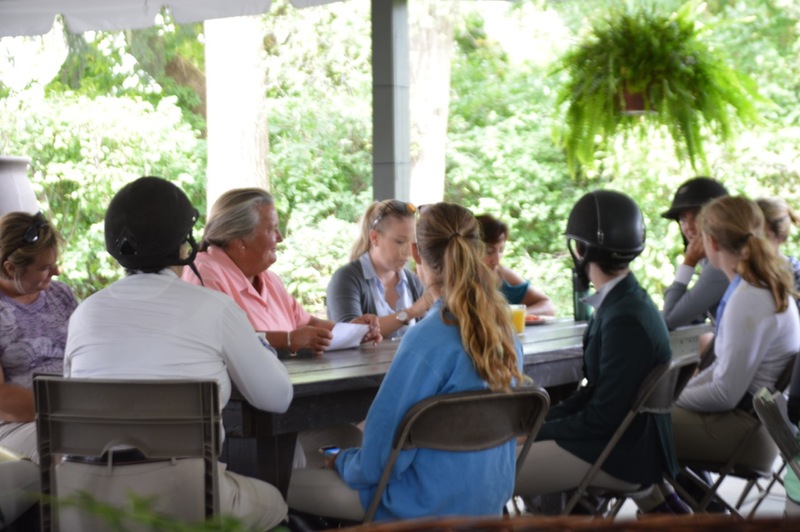 The event focuses on preparing riders for the fall season of finals at every level while having a chance to apply clinic knowledge in a show setting and receive feedback on their performance from the judge's perspective. Day one flat work and gymnastics with Diane Carney. Day one emphasized flat work and gymnastics as well as working as a team. Leg to hand skills helped prepare riders for more difficult tracks and jumps they might be faced with during the season finals. Day two progressed to more skills of line and pace as riders added s-turns to the mix while Carney stressed the ability to focus and concentrate. The final day consisted of either an equitation course or hunter course similar to the clinic exercises, a flat segment and a work off. Riders went through the drill of show attire and braiding to simulate a real horse show experience. Carney then reviewed her judges cards with riders and auditors. Delaney Hoffman and Bravo applied clinic skills for day three. "It really makes a difference when the show atmosphere is created," said Galway owner/trainer Lorrie Canady. 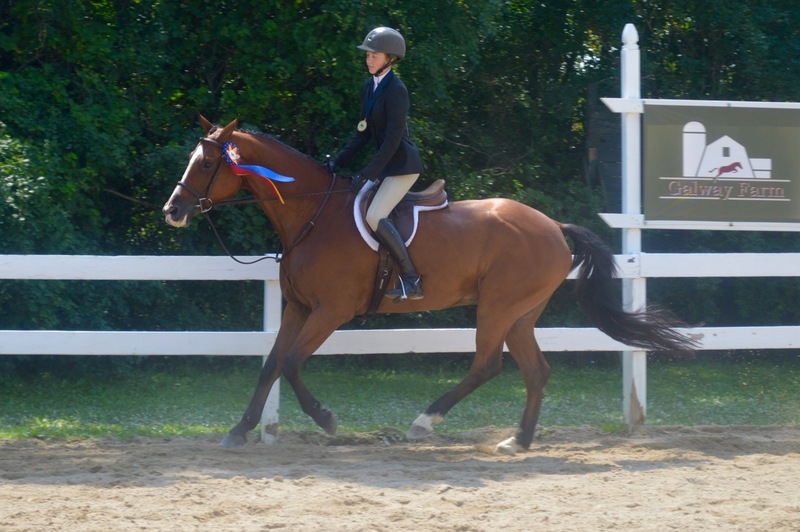 "With spectators, tents, braids, the judge and the announcer; riders nerves can get the best of them and this is a great place to learn to handle that in an educational environment." 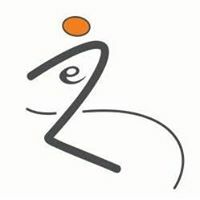 Three classes were offered for riders kicking off with the EQUO Equitation Classic 3'3"-3'6". 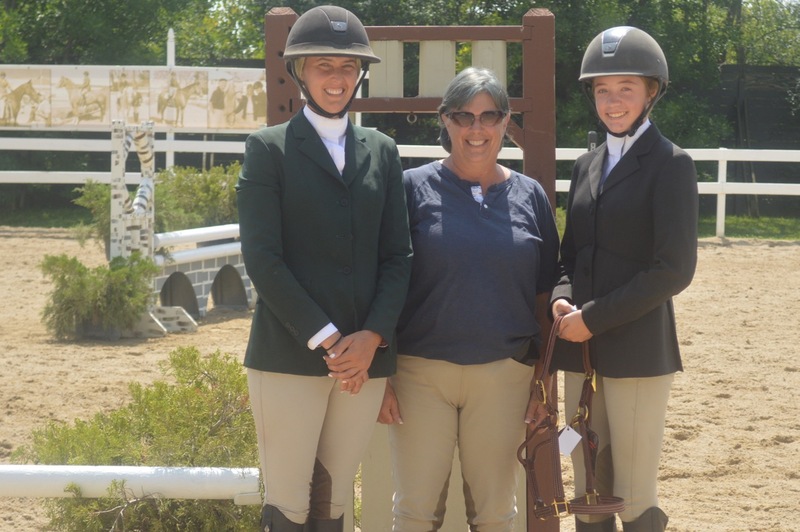 EQUO, a pioneer in versatile equestrian apparel, graciously donated EQUO hoodies for the class winners as well as EQUO long sleeve t-shirts for rider gift bags. The first winner of the day after three phases was Galway Farm's rider/trainer Molly McAdow and KEC Luciana. Winners received a Galway Farm gold medal and a silver picture frame, complete with presentation photo, for the win. 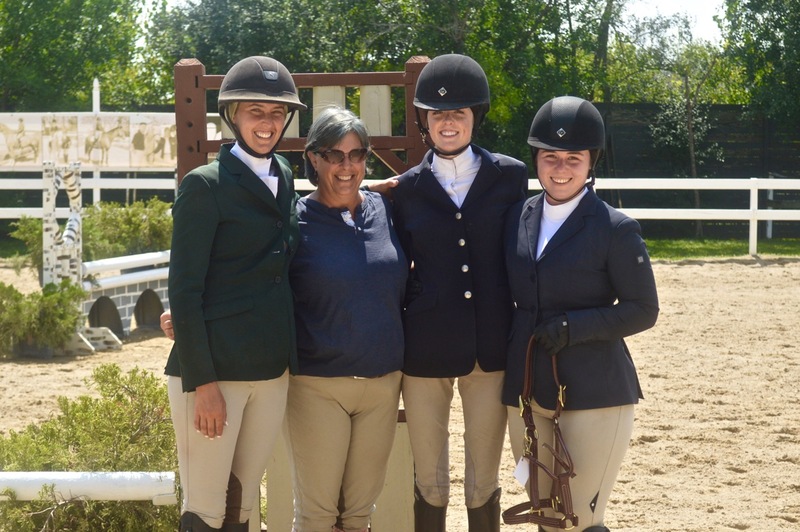 Anna Dulin and Christopher Ferralez of EQUO present to Molly McAdow and KEC Luciana for their win in the EQUO Equitation Classic 3'6". EQUO presents the EQUO Hoodie to Maddie Fisher and Beachin' for the 3' section win. Taylor Holstead and Carnival take a victory lap for their win in the 2'6" section. Taking the second victory gallop of the day was Maddie Fisher and Beachin', who topped the Galway Farm Equitation Classic 3'. 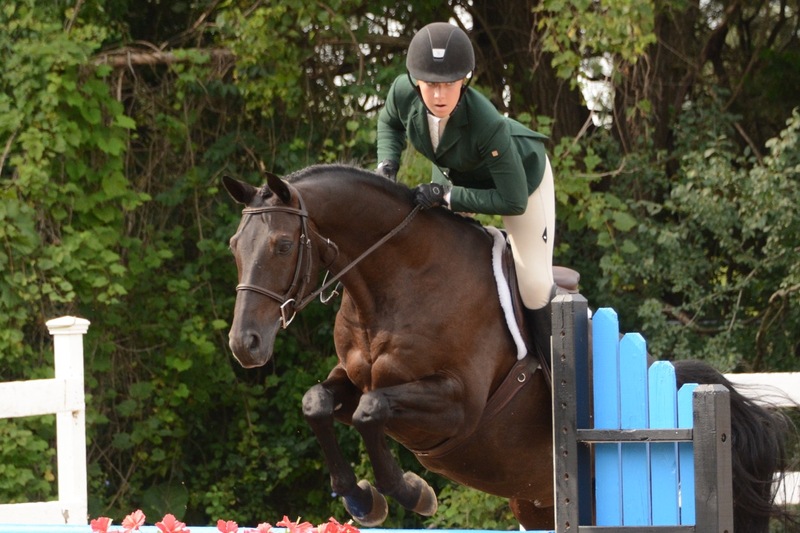 Taylor Holstead catch rode her way to the win in the Galway Equitation Classic 2'6" aboard Carnival, who she borrowed from Canady for the final day. 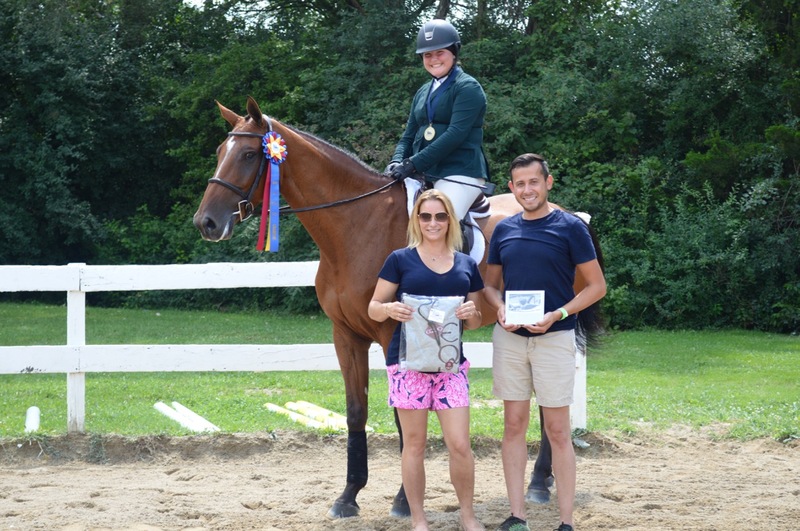 Holstead, who rides at AliBoo Farm, also rode her way to the Highest Scoring Rider of the Day, sponsored by Jenna Wedemeyer Designs, and added a Walsh British Halter to her track truck for the win. 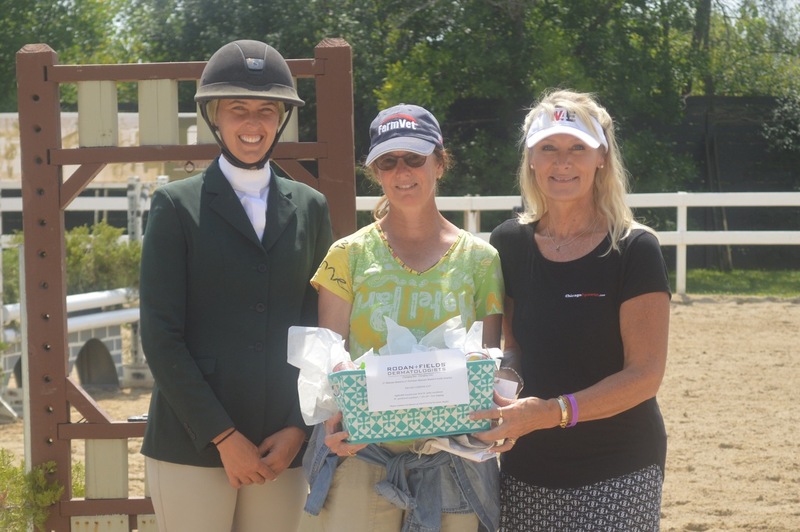 Highest Scoring Rider of the Day sponsored by Jenna Wedemeyer Designs presented to Taylor Holstead by Galway Farm's Molly McAdow and Lorrie Canady. Alexis Ortiz - High Score Flat Rider with Rebecca Gallagher. Delaney Hoffman and Bravo from Kinvarra Farm, took home a new View Halloo equine journal for winning the Judges Choice All Around Rider. Alexis Ortiz and Little Paul of Kinvarra Farm also carried home one of the coveted equine journals for earning the High Score Flat Rider. Best Turned Out winners Elliott Hodge and Julia Mariani with Galway's Molly McAdow and Lorrie Canady. The Best Turned Out Award went back to Indiana with riders Elliott Hodge with Just Gorge and Julia Mariani with Argent. Sponsored by Amaferm, the girls will enjoy a Walsh British Halter and and pair of Walsh shin boots. Their trainer, Debbie Danner, won the Trainer Awardsponsored by Rodan & Fields and Lexi Bowen, featuring a basket full of their top skin care products. 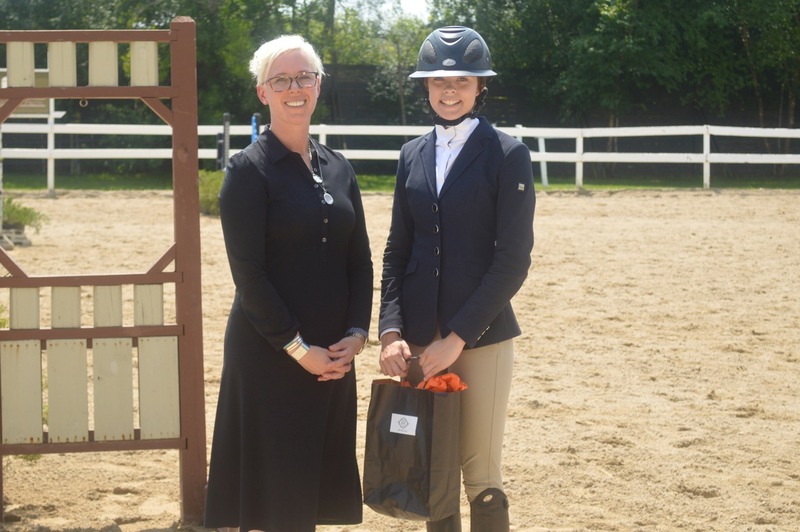 The Sportsmanship Award went to Erica Halstead of Galway Farm, who received an RJ Classics shirt, courtesy of RJ Classics and an Equitouch Massage for the equine of her choice from Susan Paladino. Debbie Danner received the Trainer Award from Molly McAdow and Brenda Mueller sponsored by Lexi Bowen and Rodan & Fields. Erica Halstead of Galway Farm won the Sportsmanship Award. 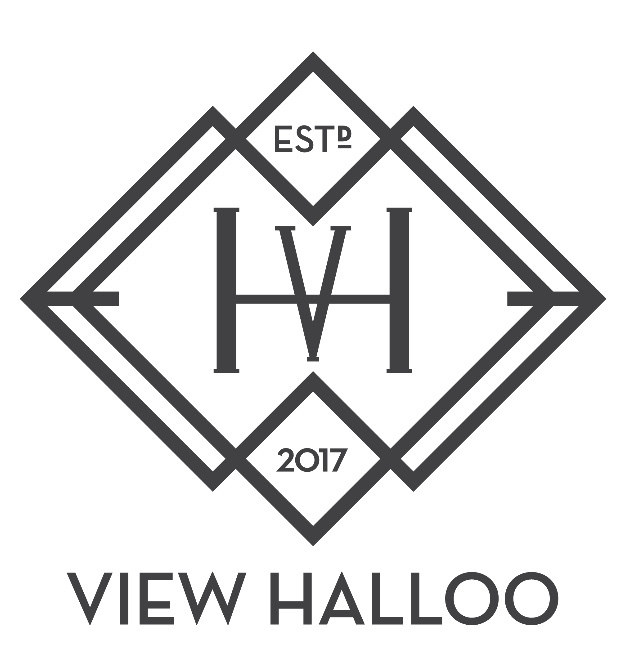 All riders also received monogrammed saddle pads courtesy of Saddler's Row in Palatine and Mona's Monogramming, now located at Balmoral Park. 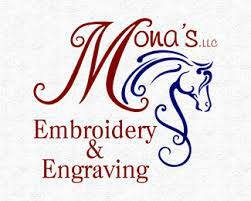 Saddlepads courtesy of Saddler's Row and Mona's Monogramming. 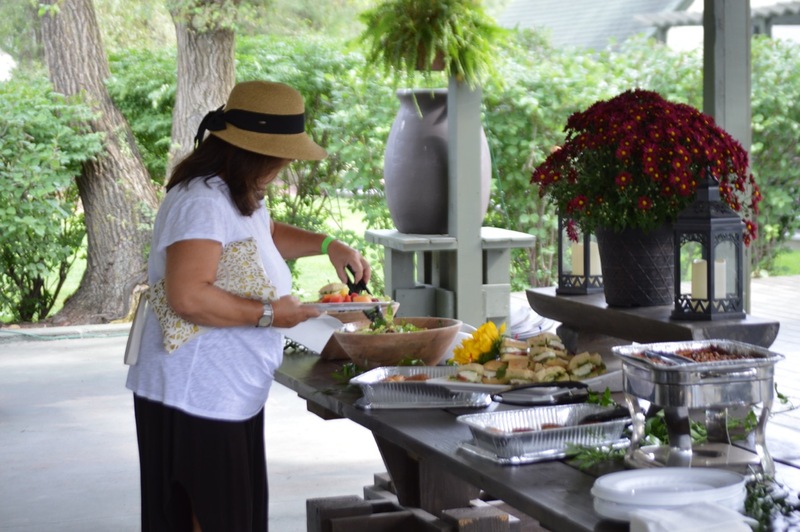 Riders, auditors and spectators were treated to a top notch champagne brunch, sponsored by EQUO and catered by North Shore Catering. Back by popular request, North Shore Catering delivers delicious ideas for any occasion with planners to guide you through the coordination process - from menu selection to customized details. They will not only meet your expectations, but exceed them. Galway Farm is one of their new venues for equestrian and country themed events. Thank you also to Pour It Forward 50/50 for the bartending service. They donate half of their fee to a charity of your choice and Galway chose the Alzheimer's Association. Several of the attendees made additional donations to the Alzheimer's Association as well - a win win!! Judge and clinician Diane Carney reviews the judge's cards with the riders. Annalise Simsek of Ride Train Elite spoke on sports nutrition. The group was also treated on Saturday night to guest speaker Annalise Simsek from Ride Train Elite, who spoke to the group about sports nutrition. 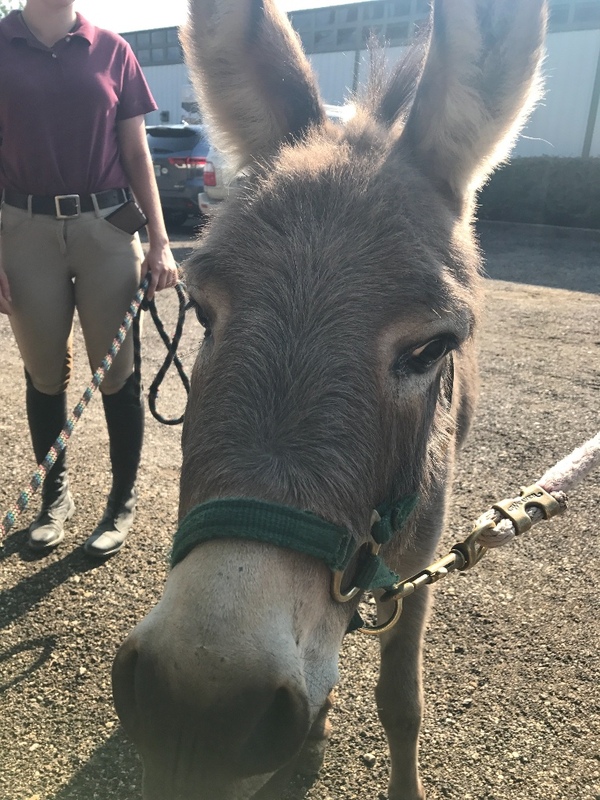 Friday night featured a Mexican Fiesta with special guest Chalupa, the mini donkey. 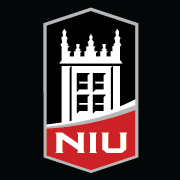 Breakfast was available daily thanks to Taylor Harris Insurance Services/Peggy McEnroe and Northern Illinois University. Lisa Campbell kindly sponsored Saturday's lunch. A special thank you to all of the sponsors and the Galway staff for helping with this fantastic event! 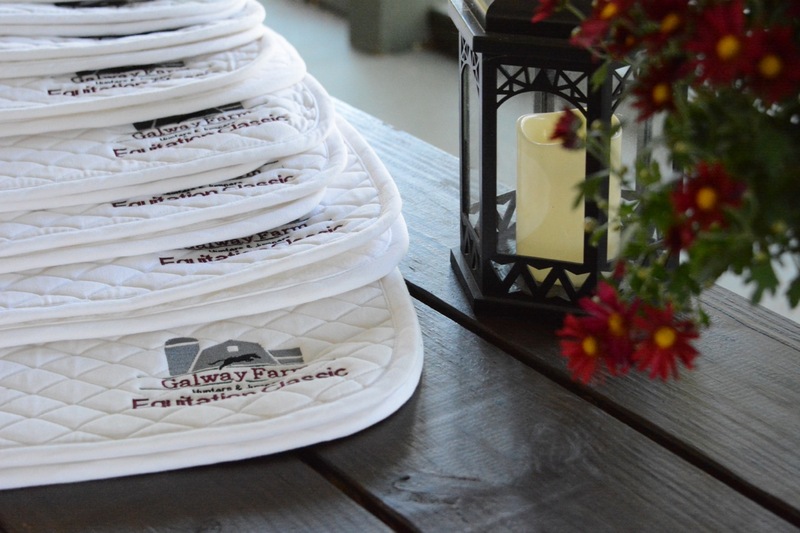 Reserve your spot for the 2018 Galway Equitation Classic!! 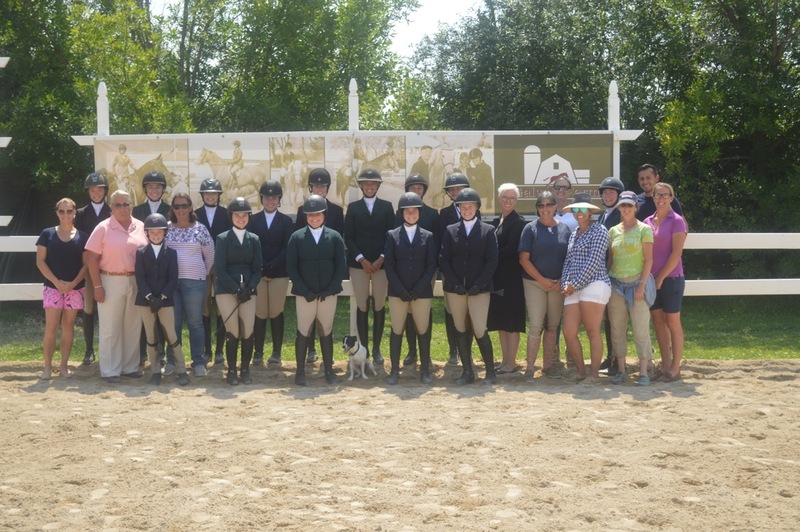 The 2017 Galway Farm Equitation Classic group. 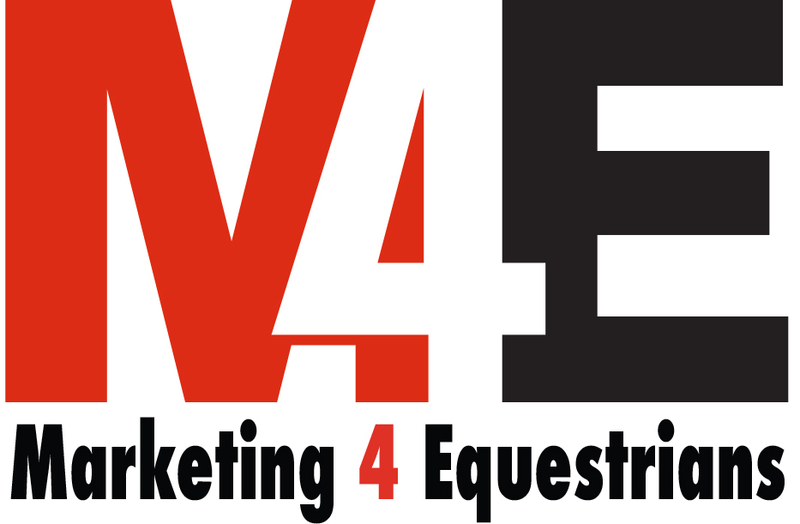 Contact Brenda Mueller for 2018 reservations or sponsor and vendor opportunities at Brenda@M4Eq.com. 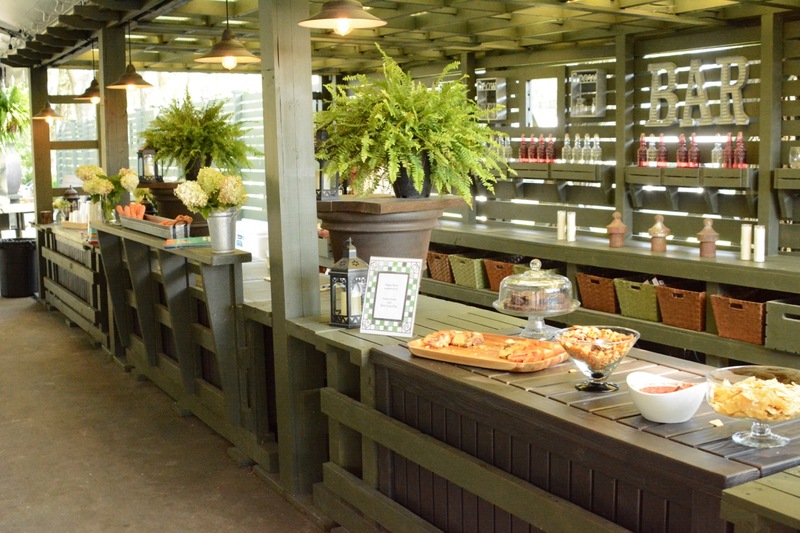 Galway Farm's event pavilion ready for Saturday's happy hour. 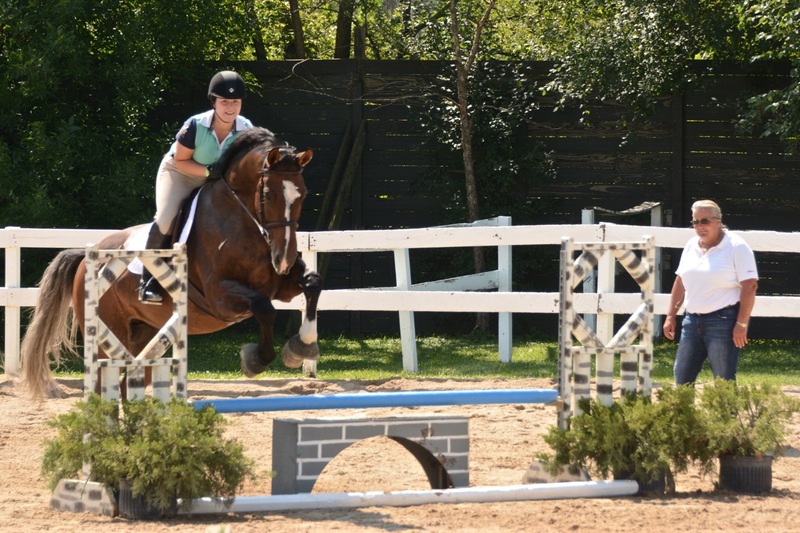 All photos by Chicago Equestrian and may only be used with credit in relation to this release.